A spokesman for the NYPD said the arrests send a message "there is no place in the NYPD for criminal or unethical behavior"
Seven members of the NYPD, including officers, detectives and sergeants, have been arrested for their involvement in a prostitution and gambling ring in Queens, law enforcement sources said. The cases were investigated by internal affairs after its detectives received a tip in 2015 from an officer reporting prostitution and gambling problems within the department, the sources said. The arrested cops were linked to one ring that ran out of Queens and Brooklyn, and allegedly provided protection to the locations, sources said. They'd also allegedly run computer checks and alert the civilian suspects operating the ring if police were looking into them. The NYPD members arrested came from evidence collection, Transit Bureau investigations, the 109th and 84th precincts, and Brooklyn's South Vice, sources said. They're expected to be arraigned Thursday. The arrested cops have been identified as sergeants Carlos Cruz, 41; Louis Failla, 49; and Cliff Nieves, 37; detectives Giovanny Rojas-Acosta, 40, and Rene Samaniego, 43; and officers Steven Nieves, 32, and Giancarlo Raspanti, 43. 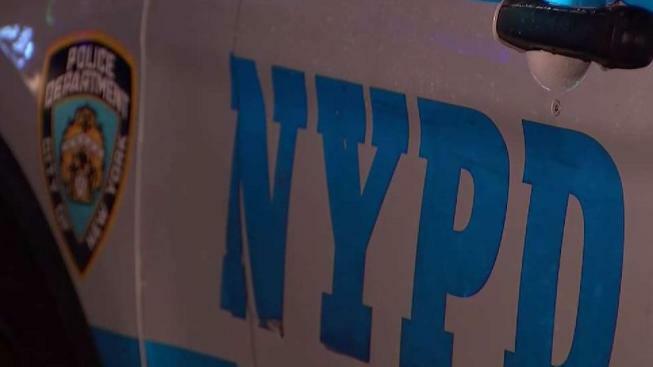 Two other detectives were also placed on modified duty in connection to the investigation, according to an NYPD spokesman. Forty other civilian suspects involved in the prostitution and gambling ring were also being arrested Wednesday. The Queens district attorney's office is prosecuting. A spokeswoman for the D.A. did not have immediate comment. NYPD Commissioner James O'Neill said in a statement provided to News 4 New York,"Today, those who swore an oath and then betrayed it have felt the consequences of that infidelity. The people of this Department are rightly held to the highest standard, and should they fail to meet it, the penalty will be swift and severe." The internal affairs bureau "initiated this probe and in doing so, has sent a clear message: there is no place in the NYPD for criminal or unethical behavior," said O'Neill. Officials for the PBA, DEA and SBA unions representing officers, detectives and sergeants, respectively, did not have immediate comment.